Setting goals or cultivating beliefs? I s it your beliefs that drive you or is it your goals? This is an important consideration as we begin a new year and as a friend of mine tritely stated, "It is the beginning of the rest of your life." My friend was in fact right; any new year is the beginning of the rest of your life, but to state it clearer, "Every day is the beginning of the rest of your life." I will now pack several truths into this conversation. First, energy comes from your beliefs, not your goals. 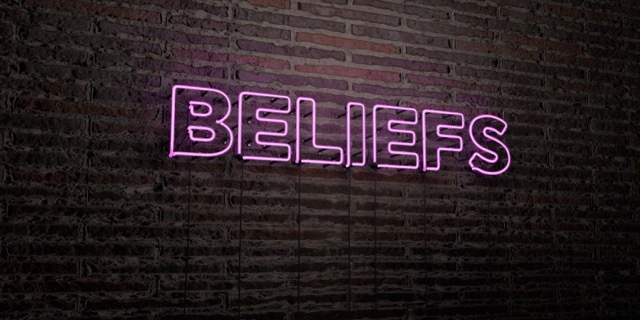 Second, the more that beliefs or character traits are lived in common with others, the more potential for a culture that fosters sustainability. Finally, any day is the right day to begin the rest of your life. Whatever you decide to do or not to do today could be the foundation or launch pad for a progressive understanding of what you will do with the rest of your life. So today, the beginning of the rest of your life, what is the truth that we need to consider? "A sustainable quality of life is based more on your belief structure and character traits than any New Year's resolution full of goals or objectives." Note that I equated beliefs with character, for character is made up of beliefs and beliefs are displayed in your character. Beliefs are the foundation of character traits upon which we live our lives and relate to others and situations that come into our lives. When using faith as a perspective, character traits based on beliefs are referred to as virtues. Restated: Sustainable progress in life comes from cultured beliefs or positive character traits, not from setting goals. Goals come and go while a virtuous culture passes the test of time. Winninger will share with us a pattern for prayer and reflection.